Quick and easy spinach puffs recipe made with simple ingredients and ready in 30 minutes. This easy appetizer for a party is crispy with a cheese filling. If you guys are looking for party appetizer ideas, consider making these spinach puffs for your next event. They are so good that I DON’T think I have ever had any leftovers…hehe. They are flaky and CRISPY on the outside with a delicious cheesy filling. Even people who are not fond of spinach go CRAZY for these! My vegetarian friends always complain that most appetizers at holiday parties are packed with meats and they can never enjoy them, which is just sad! That’s why I always make sure that my parties have food that vegetarians can also ENJOY. Since frozen spinach releases a lot of water when thawed, be sure to drain it fully before adding it into the cheese mixture or else you will end up with soggy puffs. Your puffs are ready when they are golden brown and your baking time may vary slightly, based on the oven you use. 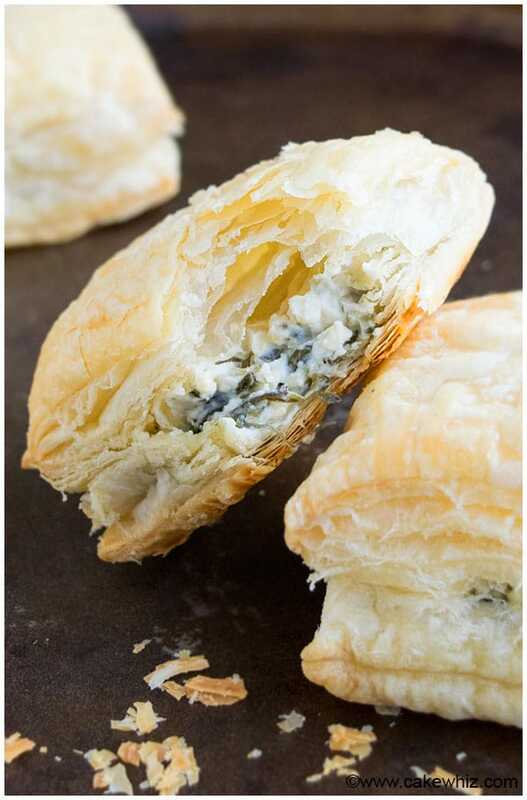 You can use fresh spinach instead of frozen to make fresh spinach puff pastry. You can use this same recipe to make spinach puff pastry cups in a muffin pan or cupcake pan. You can also make spinach pastry triangles by cutting puff pastry triangles instead of squares. 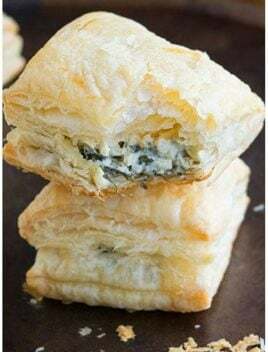 You can also make spinach puff pastry pinwheels by spreading the cheese mixture on a big sheet of puff pastry, then rolling it and slicing it like cinnamon rolls and baking. You can use a pie dish to make spinach and cheese puff pastry pie. Add some finely chopped dried tomatoes in the cheese mixture to make spinach tomato puffs. 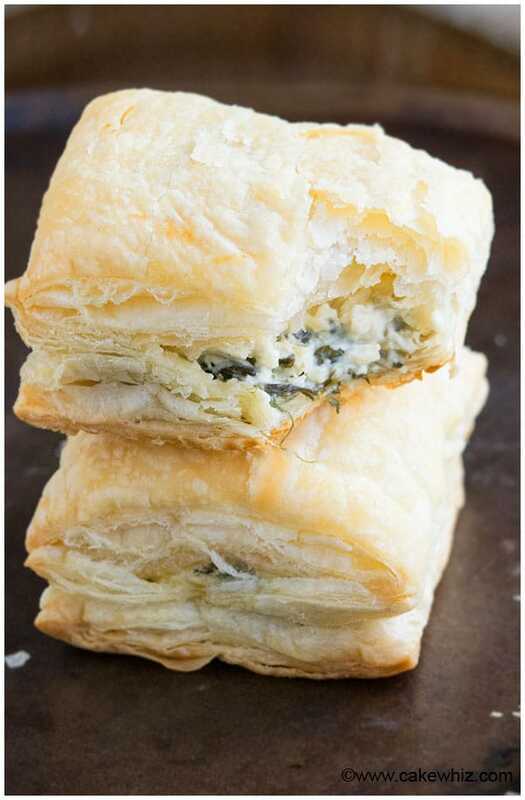 Use half ricotta cheese and half cream cheese to make spinach ricotta puffs. How to freeze spinach puffs? I don’t advise freezing them because when they thaw, the crunch is gone. How to make spinach puffs? Start off by preparing the cheese mixture by mixing together cream cheese, mozzarella cheese, spinach, salt and pepper. Spoon a small portion of this mixture in the center of square puff pastry pieces. Cover the top with another puff pastry piece and press the edges to seal the sides. Bake and enjoy! My FAVORITE is obviously puff pastry dough. This weekend, we are having a small party for close friends but I have been so busy with work, travel and family stuff that I haven’t had a chance to go grocery shopping. 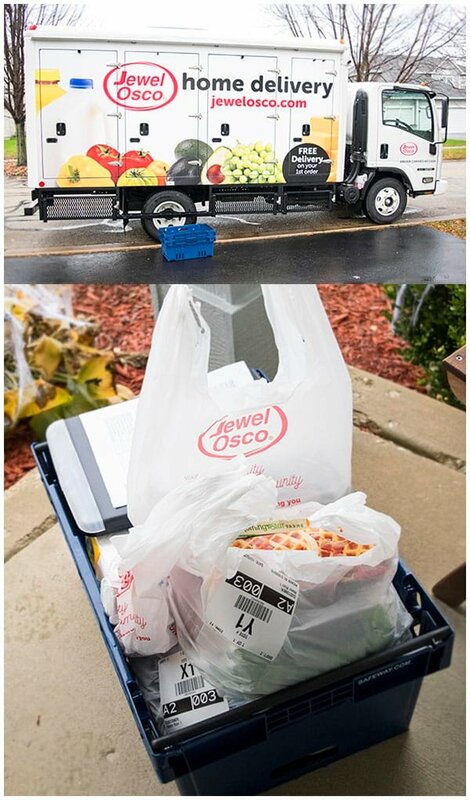 I heard about the NEW Jewel-Osco’s grocery delivery service and decided to use it and I am in LOVE. The site was very easy to navigate. You can search the products by name or by brand. It was also very convenient because they offer same day delivery (Order before 3:00 am for delivery between 7:00 am and 10:00 am. Order before 5:00 am for delivery between 11:00 am and 4:00 pm. Order before 1:00 pm for delivery between 5:00 pm and 10:00 pm). They are also offering Drive up & Go™ curbside pickup at some locations. I am so excited about trying this soon too and there is no separate service fee for Drive Up & Go! On the delivery service, my driver was so nice and was even willing to bring the groceries into my kitchen. She even called me 20 mins before her arrival to let me know she was on her way. Plus, she showed me her delivery truck, which was quite incredible because there were separate compartments to keep frozen, chilled and pantry items separate, preventing anything from going bad. In a large mixing bowl, add cream cheese, mozzarella cheese, spinach, salt, pepper and mix everything until smooth. 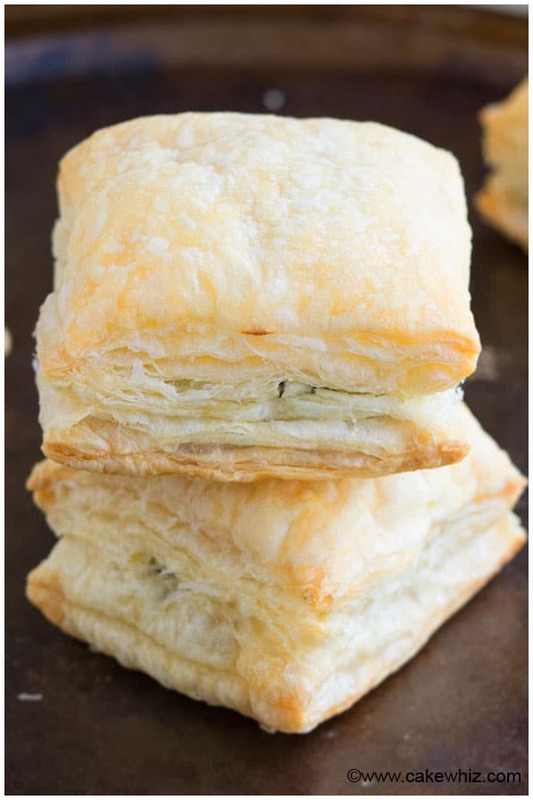 Cut out 3 inch puff pastry squares. Scoop out a tablespoon of the mixture on one square piece an d place another square piece of top of it. Press the edges to seal the sides. Bake at 375 degrees for about 15 minutes or until puffs are golden brown. Enjoy! Leftovers can be stored in a sealed container in the fridge for up to 2 days although it tastes best when freshly baked. Do you brush the top of the puffs with egg yolk before baking? I didn’t do it this time but my Mom always does it! She says it gives the tops a nice shine and crunch. Do you serve them warm, or can they be made ahead? They can be made ahead and kept at room temperature for a couple of hours. If the puff pastry is dry, you can seal by brushing some water. I usually just pinch the sides tight.